Need nail inspiration or hair care recommendations? 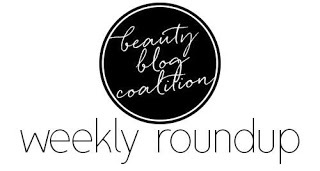 We’ve got both for you today with gals from the Beauty Blog Coalition! There are also a few giveaway posts….so be sure to check them out! I hope you are having a fantastic weekend! If you’re ready to read some awesome beauty blog posts from this past week…then you know what to do!! It’s been a little while since I shared a roundup of beauty posts, and today I have a lots of links for you! Just click to discover new and awesome beauty bloggers! I’m back with another weekend edition of BBC’s Beauty Roundup! Ready to read 11 awesome beauty-related posts that went live last week? Let’s go! I hope your weekend is going well — I am enjoying a very relaxed one with my hubs. 🙂 But, of course, I’m still reading beauty blog posts this weekend (when am I not?) and I have 15 great posts to share with you today! It’s time for another beauty round up post! As I mentioned last week, if you have a beauty blog, feel free to leave your link below in the comments so we can all check it out! 🙂 But for now, lets dive into these new posts from this past week!